Are you like me and spend all night worrying about things that sound silly when shared with friends and family? 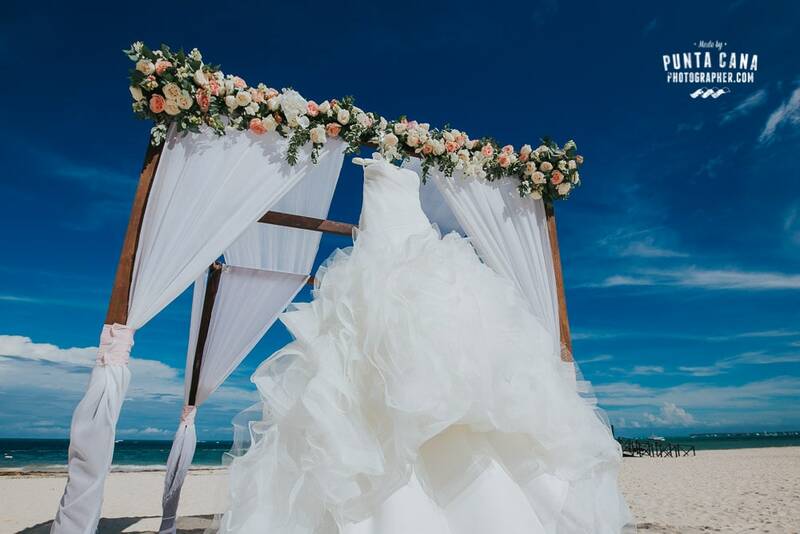 Are you afraid that bad weather, crazy relatives, wardrobe malfunctions, lack of guests, or you and your fiancée’s overall clumsiness will dampen your beach wedding day? If you are, don’t worry, you are not alone. Many brides feel anxiety about the big day; after all, it is one of the biggest days of their lives! Some anxiety is normal, to be expected even; and there is no reason why a few wedding day hiccups can’t become a happy (or even a humorous) memory. 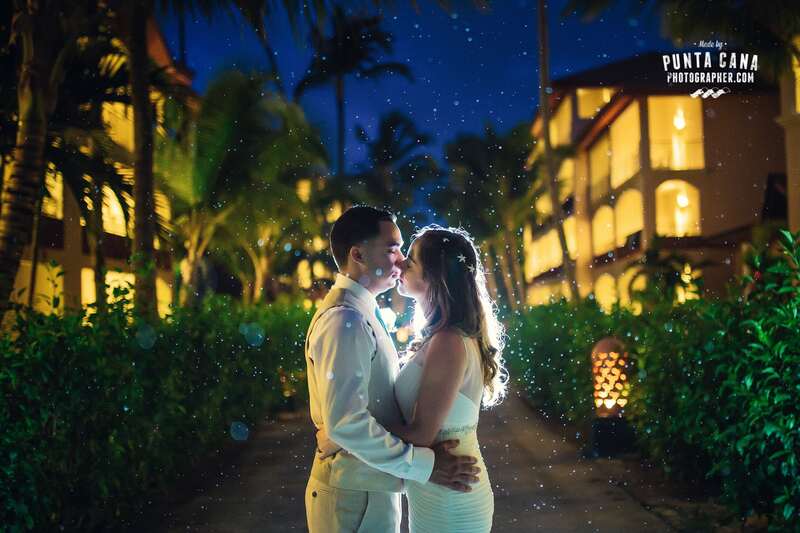 Many brides fear that bad weather will cause issues for their beach wedding. 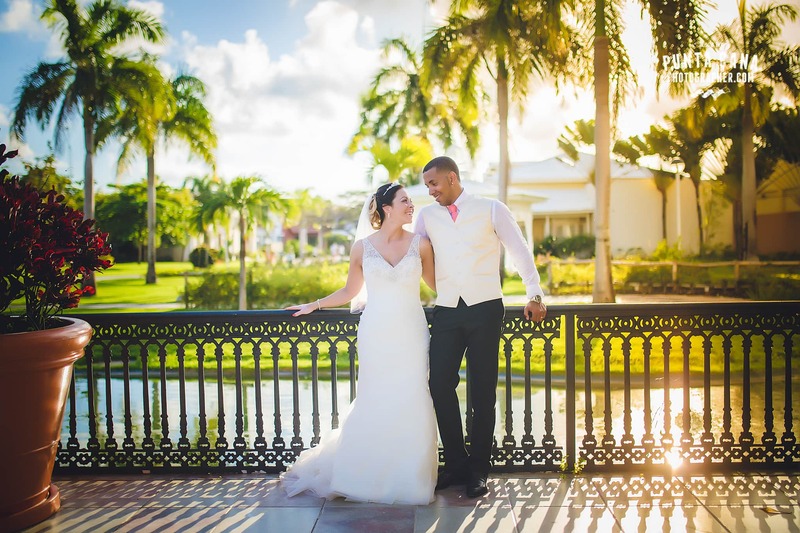 Especially brides who have chosen to have a destination wedding in places like the Dominican Republic or any other island in the Caribbean where the weather is unstable sometimes. 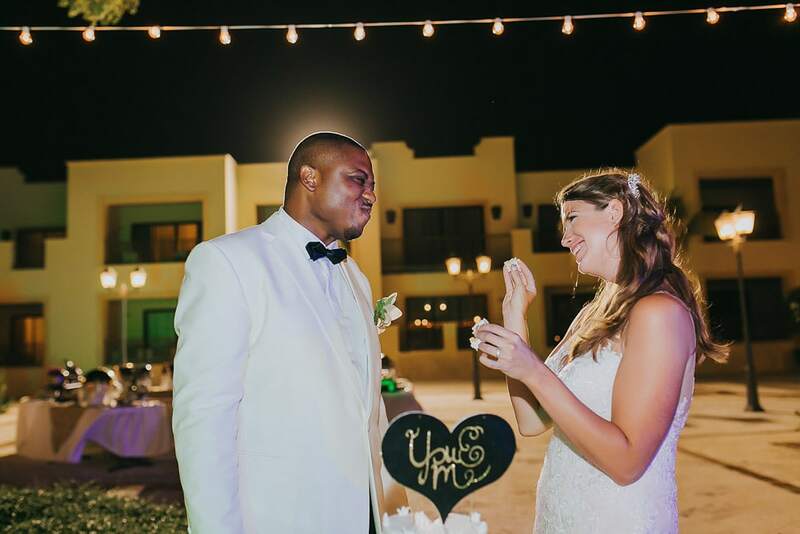 It is a rational fear; cloud coverage may interfere with your wedding day photos, but a good wedding photographer will know how to work with the new lighting and produce phenomenal photos of your big day. In fact, rainy weather would be a great opportunity for a trash-the-dress photo session! If trash-the-dress isn’t your thing, then imagine the romantic photos of the two of you dancing or kissing in the rain! It would be like a romance movie (romantic comedy if you have a good sense of humour). If you’re into finding symbols and meaning in the little things, you could look at the rain as a symbol of new beginnings! The old days are washed away and the two of you are being offered a fresh start to forever. See, bad weather isn’t something worth crying over, or even losing sleep over. Another fear that brides may have is that no one will come to their wedding. Imagine that, you make reservations, pay your caterer to make a grand meal, send out dozens of invitations… and no one shows. Not only would you be mortified, you would have wasted thousands of dollars. If you are concerned that this nightmare will be a reality, then maybe you should consider requiring the guests to RSVP. If your guests RSVP, then you will have a better idea of how many people plan on attending the event (this will aid you greatly when it comes to planning with your caterer). This Checklist will help you solve this kind of problems since it will help you keep everything organised. If you are still concerned, then you can always check with the intended guests to confirm their plans for your wedding day. One more important thing to remember is, even if there is a natural disaster and only the groom arrives, the two most important people were there. Another common beach wedding problem for many brides is that their relatives will disrupt their wedding day. Every family tree has a bad apple or two, but that doesn’t mean you can’t have a great day. One option would be to not invite the drama causing relative (if you are that worried about their behaviour). If, however, you feel the need to invite said relative (because they are a parent or a sibling) you could try talking to them about your concerns. Another idea is to have someone who is discreet, on standby to quietly direct them away from the wedding party if they begin to make a scene. Though it may be difficult, remember that the wedding is about you and your intended spouse. This day will be your lifelong memory; it will be the story that you relate to your children and grandchildren. Remember that you and your fiancés happiness is what really matters on this beautiful day, and try and make the best of it, no matter what you decide to do. Brides can loose their sleep thinking that there will be major wardrobe malfunctions. These wardrobe malfunctions range from the wind blowing the veil everywhere and disrupting photos, to the worst possibility of all – the wedding dress no longer fitting. If you are concerned about the bad weather and veil issues, you might consider having a backup plan such as a tasteful tiara or maybe a floral wreath, depending on your taste and wedding theme. You should discuss these possibilities with your photographer and see if they have any advice to share. If you are worried about your dress not fitting (because you bought it too small as a goal weight, or because you’ve enjoyed the holidays) then consider taking it to an alternations specialist. If the dress still fits, but you are worried it won’t fit for much longer, consider trying the dress on a few times before the wedding to keep tabs on the fitting. The final fear that many brides struggle with is their overall clumsiness. Walking down an aisle is both exciting a nerve-wracking. What if you trip over your own feet? What if you fall and tear your dress? 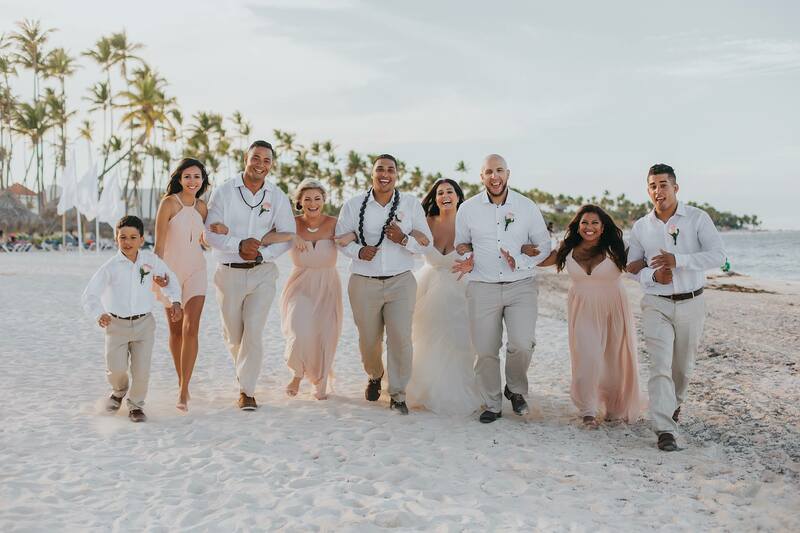 This can easily become a beach wedding problem, but there is hope! These are possibilities, even if you are not a clumsy person. If they happen, know that it will be okay, and try and look at it as a funny story to tell someday. If you are really worried about it, consider practising walking in your heels, or maybe even go with flats. Another possibility is choosing a dress that stops just short of the floor (or maybe higher) to lower the risk of falling. Choose to make the best of any situation, even when you are overwhelmed and want to cry. This quote gives me strength because there is a chance that my fears may never be a reality. We all have fears, anxiety, and wedding day jitters. After all, it is one of the biggest days of our lives; many of us have dreamed of our wedding day since we were children. Try not to worry too much, everything will work out in the end.